The director films the street where he lives in St. Petersburg, for a whole year, documenting the changes caused by the celebration of its 300th anniversary. In Russian, "Svyato" means "happy". But it is also a nickname for Svyatoslav, the son of director Kossakovsky, who for two years covered mirrors from Svyato. For the first time in his life, Svyato is going to watch himself on a mirror. A surreal observational view of daily of St Petersburg life. This is a fascinating look at the abstract quality of everyday events that often passing unnoticed in front of our eyes. Viktor Kossakovsky was one of 101 children born in Leningrad on Wednesday 19 July 1961. Three decades later he tries to trace the people whose birthday he shared. 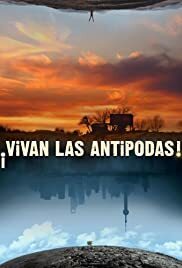 Victor Kossakovsky's '¡Vivan las Antipodas!' documents four sets of antipodes – locations diametrically opposite to each other on the surface of Earth – to unveil the contrasts and continuities that exist in the natural world. The film is more attuned to the drama of landscape than to human drama, relegating its human subjects to bit players in lengthy studies of mountains and bodies of water. Though such an approach is not in itself unrewarding, Kossakovsky struggles to transform his footage into something compelling or engaging. The notion of investigating these antipodes is appealing, but ultimately unenlightening. Kossakovsky's idea provides a neat framework that he struggles to work within; the footage he shoots of the antipodes are non-complementary, meaning many of the global connections the director uncovers feel forced and unwieldy. At worst they become trite and superficial – Ooh, look! A rock in Spain looks a bit like a beached whale in New Zealand! – lending the film a gimmicky quality. This is not helped by the numerous occasions when Kossakovsky tilts his camera upside down to show events on the opposite side of the world, a device that adds little to proceedings. Aside from some woolly ecological assertions, the film lacks thematic drive or philosophical content. Compared with a film such as 'Le Quattro Volte', a film superficially similar in its long takes and focus on landscape over human personality, '¡Vivan las Antipodas!' crucially lacks mystery or drama. Many moments of the film steer away from the poetic into the realm of banality; cynical though it may be to view the film in this way, it is apparent that the repeated images of butterflies and rainbows that come towards the end of the film just don't cut it as the "life-affirming" images that they are intended as. Many of the film's money shots come across less as compelling cinematic images than silver screen savers - pretty, but emotionally neutral. In an age when nature documentaries show us jaw-dropping nature footage on a nigh weekly basis, Kossakovsky's film of elephants and condors feels slightly amateurish, not much more than quality holiday footage on the big screen. 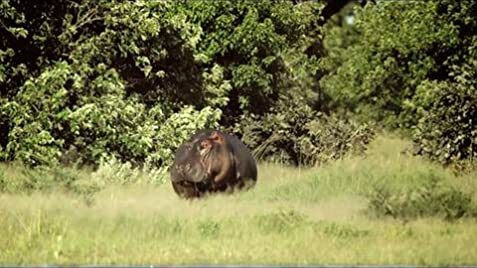 Additionally, the animal footage is often used either for comic effect or for sentimental impact, lending much of the proceedings a gratingly twee edge. The film's problems are compounded by uninspiring editing, courtesy of director Victor Kossakovsky. His affection for many of the scenarios he has filmed is apparent and it is perhaps an unwillingness to trim back the less successful moments that cripples the film. As a result, it feels both bloated and rushed, both filled to bursting point and strangely hollow. We are bounced around the Earth with such rapidity that we glean no real understanding of any of the places we are shown. Kossakovsky's camera travels so far and so fast that the audience is given no chance to settle into the natural rhythms of these locations, no chance to breathe in the surroundings. Some of the antipodes barely register, (Botswana) whilst even the most prominent (Argentina) is hampered by focusing on two men who spout laboured and unconvincing conversations that broadly lay out the themes of the film. This is not to say that the film is without its pleasures, often from the moments that are less insistent about their capacity to induce amazement. The changing light of an African sunset, the otherworldly shots of Shanghai, a shimmering mountain seemingly finding a solid body in its reflection – moments such as these prevent the film from becoming entirely unrewarding. Yet even these moments are often lamentably hindered by the film's bombastic and decidedly bizarre score. Perhaps with a surer hand at the editing desk the film could have been shaped into something more than the mêlée of raw footage it currently stands as, though it is not improbable that the contrived nature of its central conceit would hobble it at every step.